Magnet #144. Vintage Photo. 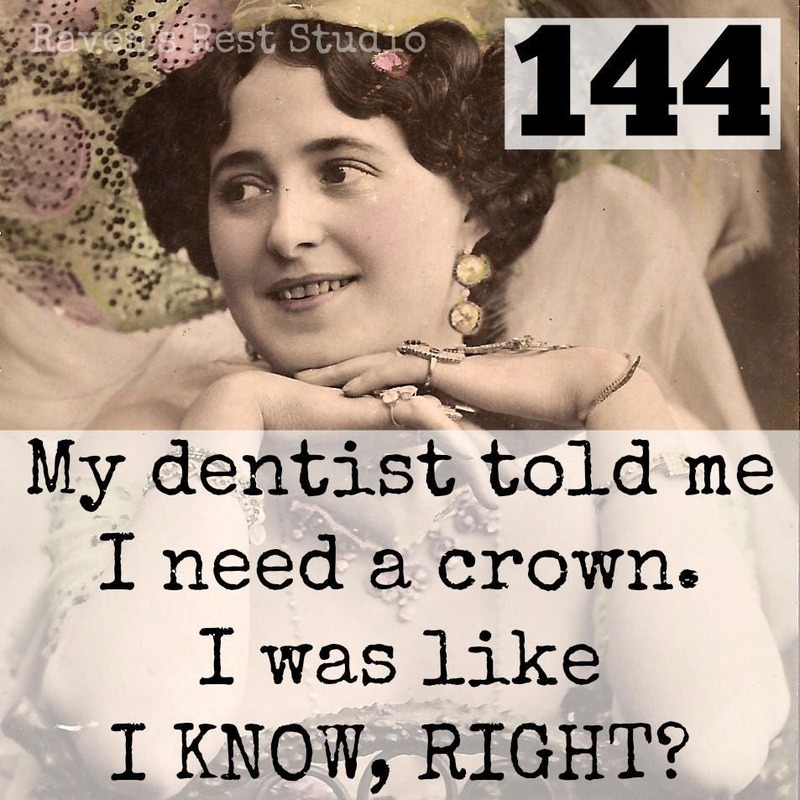 My Dentist Told Me I Need A Crown. I Was Like, I Know Right? Funny Magnet. 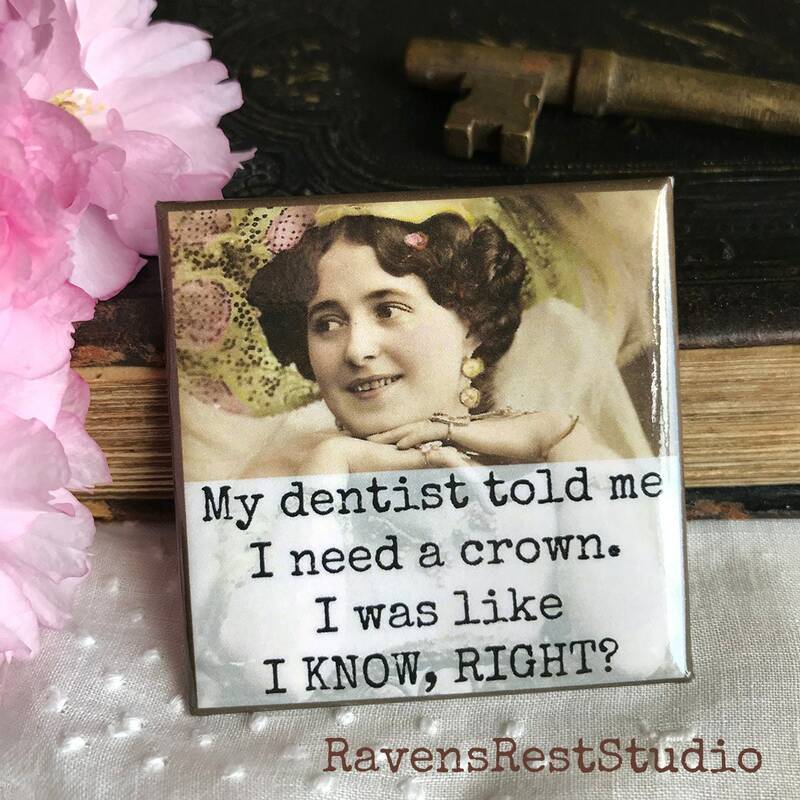 This 2 inch square magnet features a vintage woman wearing a fun hat and reads: "My dentist told me I need a crown. I was like, I KNOW RIGHT?". Beautifully made & makes you LOL everytime you look at it!!!!!!!!! Just what I expected. Fast shipper. Love all of the magnets I bought!! Thank you!